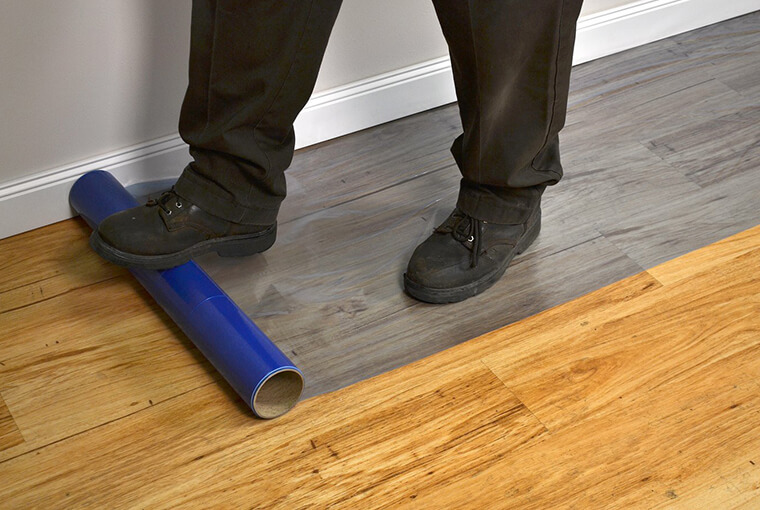 Our floor protection tape helps in protection of floors and countertops from damage/spillage during maintenance and painting. We also provide Roll Applicator to help in applying the tape which helps in improving productivity. Construction, remodelling, renovation, restoration, painting, maintenance, model homes & vehicles, showrooms, open houses, parties, RVs, and much more. Floor Protection Film can be used for construction, renovations, model homes, entrances & exits, showrooms, painting, stairs, and parties. The polyethylene film is resistant to tears and punctures from sharp items.